TRIBUTES ARE pouring in for a 21-year-old student from Louth who passed away in tragic circumstances during a college trip to the US. University College Dublin student Mark Sands from Blackrock died in the early hours of Friday morning, February 1st. The computer science student had earlier been admitted to hospital in Austin, Texas with critical injuries after he was hit by a car while riding an electric scooter. Sands underwent emergency brain surgery but sadly passed away. 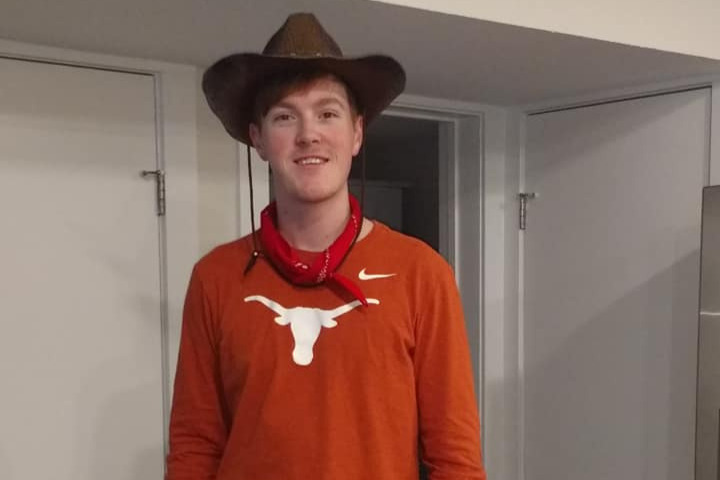 A popular figure on both sides of the Atlantic, University of Texas student Kyle Meche paid tribute to his friend on a GoFundMe page set up to help cover Sands’ medical bills and funeral costs. "If you've ever been lucky enough to meet Mark you've surely noticed his constant smile. He was one of the most charming and amusing people you will ever meet,” Meche wrote on the page. "Mark never met a stranger or someone he didn't like. He had a passion for everyone he knew and he always looked out for others. However, in this moment, he needs us to look out for him. "This page is to raise money for Mark's family as they've travelled across the world just to be with him and they'll undoubtedly have expenses from this tragedy." The GoFundMe page has already raised more than $24,000 of the $25,000 target. Meche urged Sands’ friends and the members of the University of Texas philanthropic organisation Iron Spikes to help and donate in any way they could. "Iron Spikes share a deep bond that is hard to describe,” he said. “We have each other's backs at all times and we will not let Mark go through this alone. Spikes, please do anything you can to help him and his family -- whether it be donating here or ensuring his family is taken care of while they're in Austin." Mark’s mum has since issued a statement thanking Mark’s friends for their efforts. “We are overwhelmed by all your support,” he said. “Your comments are uplifting and a great comfort to us. “Could you please play the U2 song Elevation and take a few minutes to remember him. It was a very special song between Mark and I and one I was going to dance with him at his wedding and do our goofy dance. Sands’ organs have been donated to the hospital on Monday, February 4th.